The battle of the sexes rages on when it comes to deciding who’s best at driving. On the theme of learning to drive, however, it seems we have a winner. Sorry ladies, men are better at it, according to official figures. But only just. Men not only learn to drive faster, they are also more likely to pass their test first time, research found. The gender differences are revealed in official statistics obtained from the Government’s Driving Standards Agency (DSA) by price comparison website Confused.com. The figures show that this year nearly half (48 per cent) of male motorists who took their test passed first time, compared to just 44 per cent of females. The research also found that women take an average of eight months to their pass their practical driving test, compared to just six months for men. But they also suggest self-confidence may play a large part. For nearly four out of ten (39 per cent) of men already believe they are better drivers than women. By contrast, just a quarter (26 per cent) of women believe themselves to be more competent drivers than their male counterparts. The figures are set to provoke more furious debate between the sexes following years of talk about specific driving skills such as parallel parking and map-reading. Studies have suggested that men are better at parking and reading maps - another source of in-car aggravation - because of the way their brains are ‘wired’ which means they are better at visualising 3D pictures in their mind’s eye. For example, research by the AA shows nearly a third of women will change their driving plans to avoid having to parallel park their car at the end of their journey - twice the rate of men. The AA Driving School highlights how one in five (19 per cent) of motorists changed plans because they couldn’t park in available spaces. But that rises to nearly a third of women (28 per cent) - twice as high as men. Overall one in six people admit they are not confident about parallel parking. But that rises to a quarter (25 per cent) of female drivers compared to just over 1 in 10 (11 per cent) of men, according to the AA. The Confused.com research also shows stark age difference with younger drivers having more success than older. The findings also reveal that the pass rate for 30-year-old males (47 per cent) is significantly lower than for those who took their test at the age of 17 (58 per cent). 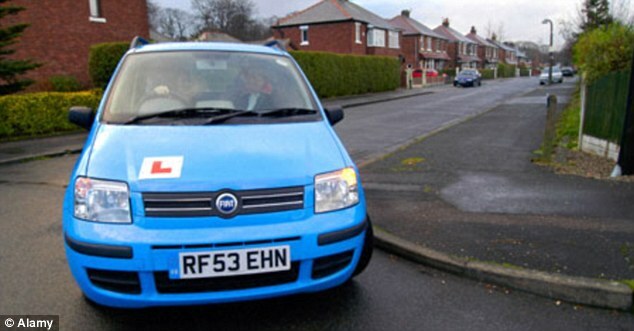 By age 50, males are even less likely to pass their driving test, with a pass rate of just 41 per cent. Similarly, more than half of females (55 per cent) who take their test at age 17 will pass - compared to 44 per cent at 20 and under a third (32 per cent) at age 50. In 2011 the average age for someone to pass their driving test was 23.1 years, compared to 23.4 years last year, and 23.5 this year. The oldest female to hold a driving licence is 106 and the oldest male is 105. In 2008 three 98 year old females passed their test. Ministers are currently drawing up reforms to young driver training, including a possible one-year minimum probationary period before they can take their test and restrictions on numbers of passengers in the car. Some 44 per cent of drivers support increasing the driving age to 18 years. One in five Britons (20 per cent) also think the current methods of testing driving (through theory and practical tests) need to be made stricter and more challenging.